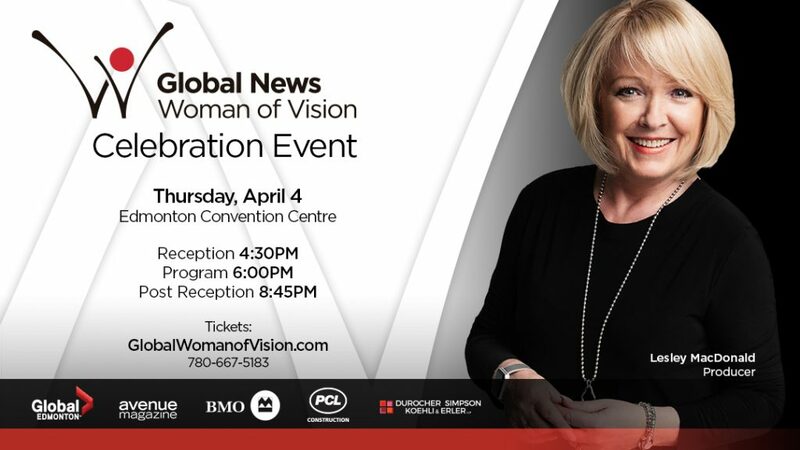 Join us on Thursday, April 4th for the 24th Annual Global News Women of Vision Celebration Event. Hosted by Lesley MacDonald, the program has shared the inspirational stories of more than 288 extraordinary women in and around Edmonton since 1995! For more information and a list of previous recipients, please visit their website here. For more information on the tickets, please visit their website here.